Scroll down and read for the story of this project…. In the fall of 2014, after reading his book One Step Ahead of Hitler: A Jewish Child's Journey Through France and meeting Holocaust survivor, author and friend Fred Gross (pictured above in the middle), my students wanted to learn more about the people who "did something" to stop the madness that engulfed Europe when our friend Fred was a small boy. Enter - monument in school yard. My students had not noticed the World War II monument and did not realize that the names on that monument were those of young men who had gone to school in the very rooms they occupy today. Note - our middle school is the former high school. After lots of discussion, we took on the task of telling the stories the 44 Corbin Alum on who never made it back home. We wanted to bring the monument into the 21st Century. This has included months of archival research using military records, ancestry.com, interviews, and lots of assistance from our good friend Bob Terrell (pictured here with a few of the students who spent extra time working after school). Bob brought life to the mission with his stories. His father fought in World War II and had been a teacher to many of the boys on the monument. Bob's personal memories and connections to those who knew the men have opened so many doors and solidified much of our research. To read about our work and view photos from during the school year visit Mrs. Doolin's Class Blog. Scroll down to access categories "Fred Gross" and Veteran Project" on left. 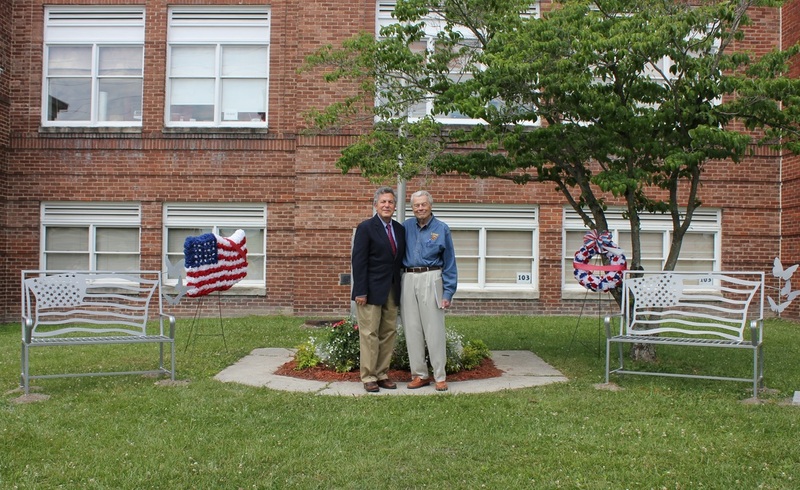 It is our pleasure to open this site to our community and the world on Memorial Day 2015 in a ceremony held in the schoolyard. It is at this ceremony that Fred and Bob will learn that students have chosen to create more than a website. 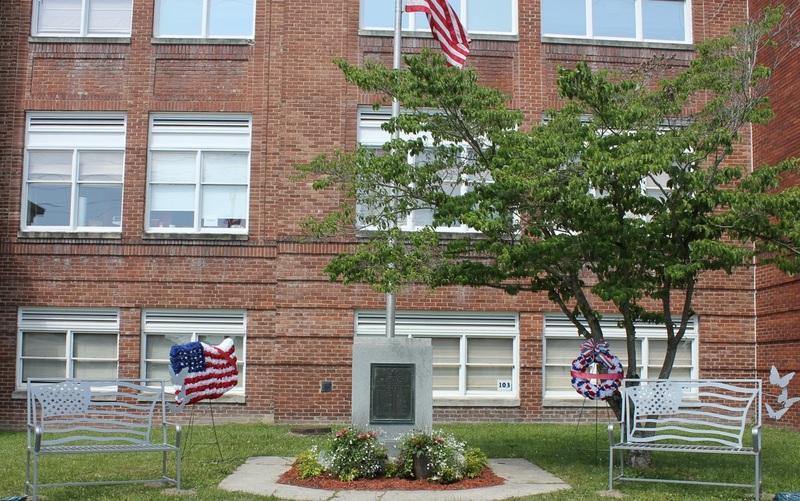 In addition to beautification of the monument itself through cleaning and planting, student designed a bench to place on each side of the monument. Fortunately, the parent of one of my students was able to make this a reality. Everlasting Gates located here in Corbin, was able to use the student design to create the beautiful benches, and Parkway Monument in Barbourville created granite dedication stones that blend perfectly with the granite of the original memorial. We have placed a bench on each side to allow the community to pause in the space. It is our hope than young and old will learn about the people behind the names together. It is my hope that my students will bring their children here someday and proudly tell them of the real world project they created. Our goal was to bring the monument into the 21st century by giving visitors a place to go beyond the names on the monument – to meet the people. Below - our inspirational figures who met on this day…. on Memorial Day 2015.